Terms & Conditions: The voucher cannot be exchanged for cash or credited to any account. The voucher is not replaceable nor refundable whether in whole or in part. Validity period: 6 months from date of issue. Strictly NO extension of the expiry date. 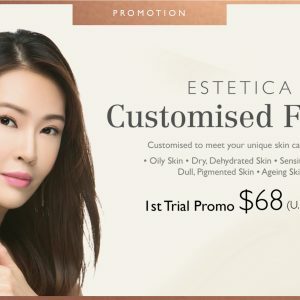 The voucher is redeemable for all services and products at any Estetica outlet in Singapore, unless otherwise specified. Advanced appointment is required. Please visit esteticabeauty.com for complete outlet listings. If the value of the voucher is not fully redeemed, no refund in cash or in other means will be given for the balance. The voucher is the responsibility of the holder. 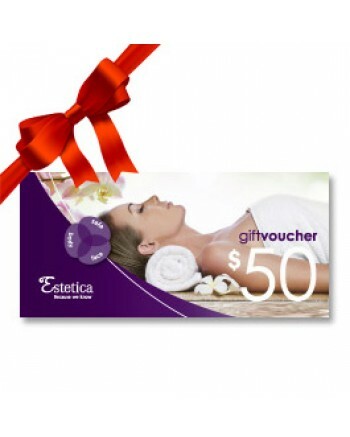 Estetica will not be held liable for the loss or damage of the voucher. Estetica reserves the right to amend the terms and conditions without prior notice.